Background from Lance: I’m sure that everyone is aware that the Social Security Administration (SSA) has used your Social Security numbers for your Medicare numbers [Health Insurance Claim Number or HICN] since the beginning of Medicare. For most people that have worked at least ten years and paid into the SS system, their Medicare number is their SS# followed by the letter “A”. In some cases, for those that have not paid into the SS system for ten years, their Medicare number is typically their husband’s SS# following by the letter “B”. The letter “T” has been used for those on Medicare but not yet drawing SS. There are various “D” codes for typically a widow who is drawing off her deceased husband’s SS. The Railroad Retirement Board uses letter(s) in front of one’s SS#. The problem, of course, is that we are sadly in the age of identity and medical theft. If your wallet or pocketbook containing your Medicare card is lost or stolen, now your or your spouse’s SS# is floating around ready to be co-opted by an identity thief. People have griped at the SSA for years about this problem, but the wheels of government bureaucracies turn slowly. Finally, Congress passed the “Doc Fix” legislation in 2015. One of its amendments was to direct the SSA to begin issuing new, non-Social Security, Medicare numbers beginning in 2018. 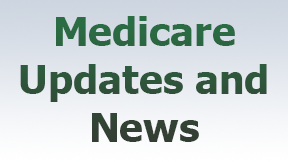 From Ron Iverson: CMS [Centers for Medicare and Medicaid Services] recently released a bulletin answering questions about the rollout of the new non-Social Security Medicare numbers. The first wave [of new Medicare numbers] from April to June will be sent to Delaware, District of Columbia, Maryland, Pennsylvania, Virginia, and West Virginia. I have provided the following links to CMS’ website to answer questions you may have about this new rollout. This link answers general questions and provides instructions about the new Medicare card that you will be receiving in the coming year. This link provides more details about the new Medicare Beneficiary Identifier (MBI). Yes, you have a new acronym to keep straight. The new MBI replaces the SS# based Health Insurance Claim Number (HICN) that is on your existing Medicare cards. Paula was rightfully concerned because her accountant had forwarded the article to her, and she contacted her Congressman who knew nothing about it. She also was told that people should be contacting their legislators to keep this benefit going. So, what is the change in the benefit? Well, the change is pretty serious, because the automatic exception expired December 31st. According to the article, “which then means that the caps of $2,010 for physical and speech language therapy and the $2,010 cap for occupational therapy are being enforced. When the exceptions were in place, Medicare beneficiaries paid only the 20 percent coinsurance* that Part B requires.” (The $2,010 figures are for 2018.) *Some or all of this amount would be picked up by your Medicare supplement plan. Comments from Ron Iverson: This is a serious matter, and one which very few Medicare Part B enrollees would know about until they go to their therapist and get the bad news. I know of people who suffer a stroke, and the $2,010 limit does not begin to cover what can become a six-month, or longer, need for speech rehab, let alone physical therapy. This situation is going to impact the providers, who now cannot use the exceptions, and risk placing themselves in a bad standing with CMS. Good ol’ RACs [Recovery Audit Contractors] come into play here. We, and Congress, have known for years that something must be done in relation to these limits on therapy. Since Paula’s Congressman didn’t know about this problem, it’s likely that there are many others in the same situation. It’s time for CMS to take action and forward solutions to Congress for some type of revival of the “automatic exception” rule. I understand the fact that CMS is trying to save money and lower costs to the program, but this is not a way to do it. Comments from Lance: For an even better understanding of this situation, please read this article on the American Physical Therapies Association’s website. Here is a key paragraph. Wasn’t Congress ready to permanently end the hard cap? What happened? It’s true: over the fall, a bipartisan, bicameral deal was reached that would have permanently eliminated the hard cap on therapy services. That deal was part of a larger piece of legislation that included other changes to Medicare, such as payments for ground ambulances and reauthorization of special needs plans. This package of so-called “Medicare extenders” was supposed to be adopted in early December. Unfortunately, the debate over the tax reform legislation dominated Congress in the final weeks of session, pushing nearly all other issues to 2018.